When you have tired, disengaged, and underproductive employees, what do you do to give them back their mojo? It must be understood that all employees at all levels grow tired, especially around the end of the year. In fact, many employees may feel like they work long hours and hardly have time for themselves. Regardless of what your employees are doing or where they are in their own time, the “work” alert is constantly running in the background. This inability to escape work and recharge leads to burnout – and burnt-out employees can be debilitating for a business. You may not realise it, but burnout is a serious issue facing many businesses today. Your business depends on the vitality and efficiency of your employees, but when employees get worn out, they make mistakes, and mistakes can cost employers in lost productivity. While there are so many factors that influence what motivates and drives employees to achieve, one way to increase productivity and maximise energy levels is to unite and inspire your workforce with the world’s leading team-building activity, and that is a day of ziplining at an Acrobranch adventure park near you! A global phenomenon that originated in the jungles of Costa Rica, what was once a system designed by biologists to study the diversity and habitat of an inaccessible ecosystem, has now turned into the world’s most fun and exhilarating team-building activity. Strapped safely and securely into harnesses, and wearing helmets and gloves, with numerous safeguards and strong cables in place, employees are led by professional safety guides onto platforms between the treetops where they partake in an exhilarating obstacle course. It includes ziplining through obstacles like cargo nets, Tarzan swings, balancing beams, tightropes, zigzagging, lily pads, barrels, rope bridges, and many more. 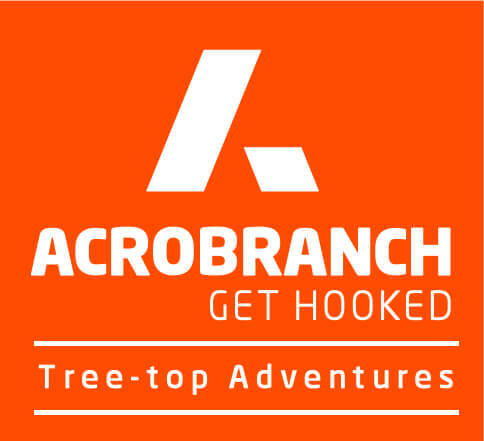 Where Can I Find an Acrobranch Adventure Park in South Africa? As a team-building activity that allows you to immerse yourself in nature, high up in the treetops, and enjoy the views and obstacles as you glide through the air like a bird, ziplining is fun, easy, and safe for anyone between the ages of 7 and 70. 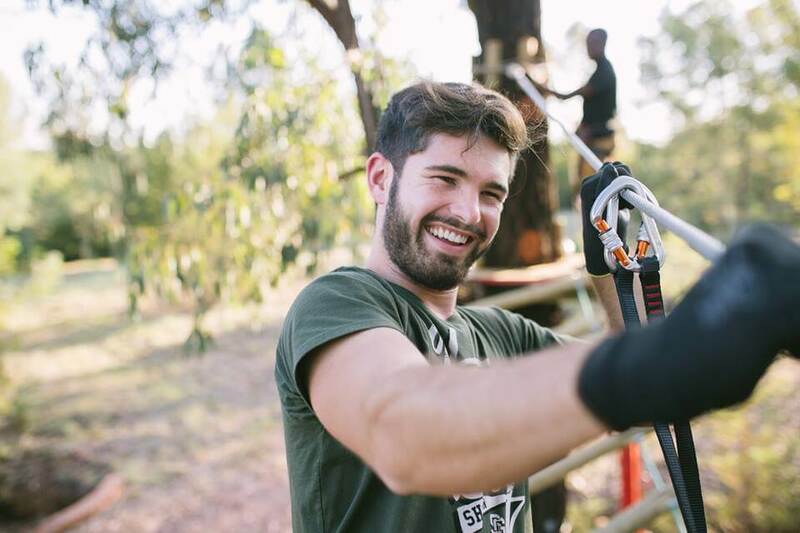 As the fastest growing eco-adventure to hit the South African team-building scene, you can find an Acrobranch adventure park in Constantia Nek in Cape Town, Sunlaws Estate in Centurion, Melrose Park in Johannesburg, Pretoria East, Musaiek in Pretoria North, and Timberlake Organic Village on the Garden Route. At Acrobranch, we believe that employees should be shown just how much you appreciate their hard work. As the largest ziplining family in the country, we have gained tremendous experience in organising team-building events for small to large groups and have even hosted events for some of South Africa’s biggest, most successful brands. At Acrobranch, we offer team-building packages that include welcome drinks, catering, and a dedicated host that will capture great snaps of your employees as they zip, crawl, balance, slide, twist, jump, turn, swing, and have the best day ever. To get 20% off at one of our team-building venues in South Africa, make your booking with us today.